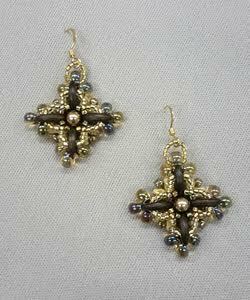 Make one of a pair of three-dimensional oval-shaped earrings using peyote stitch and Delica seed beads. 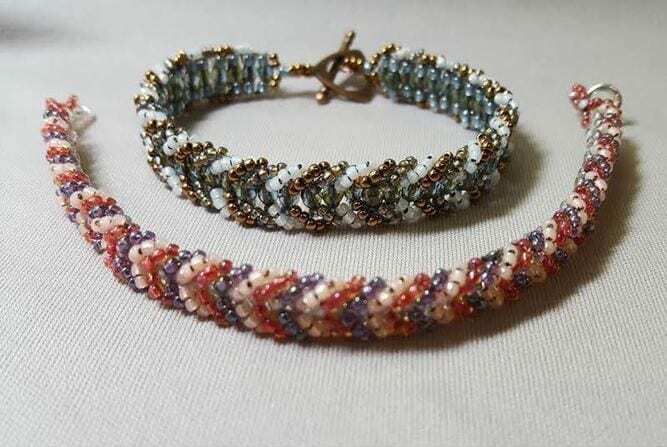 Use Toho seed beads to learn ladder stitch and chevron stitch to make a quick and simple bracelet that has high impact. Create diamond shaped earrings out of CzechMate crescents, superduos, Delicas, 2 sizes of Toho seed beads, and a Swarovski pearl.